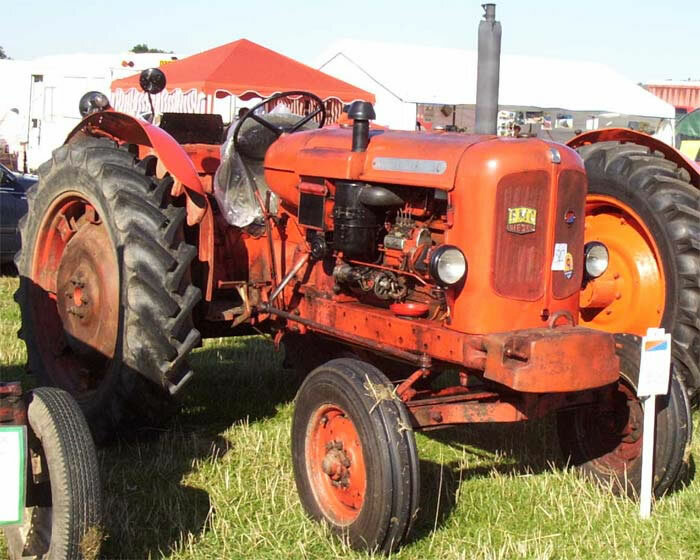 The Nuffield 10/60 Diesel Tractor, when first introduced in 1964 together with it's smaller stable-mate the 10/42 were claimed by BMC to be the first British built tractors with ten forward gears. They were also the first Nuffield tractors to be equipped with power take-off and hydraulic linkage with interchangeable dual category lower link ball ends as standard equipment, standard disc brakes were another 10 series innovation. Independent power take-off was fitted as standard equipment to de-luxe models. Other options which could be specified at extra cost for the 10 series included, power assisted steering, rear mounted power take-off driven belt pulley and the original Nuffield Universal sliding rear wheel hubs which gave step-less wheel track adjustment. Production of the 10 series continued until 1967 when the replacement 3/45 and 4/68 tractors were introduced.